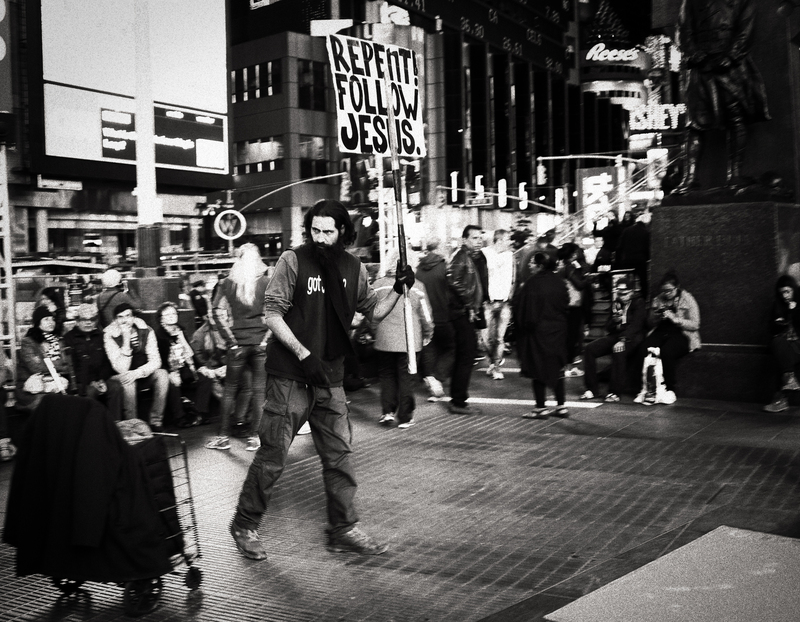 As my daughter and I crossed Times Square, this man walked towards the tribune which is situated just there. The intense look on his face and the sign he was holding made me grab my camera and take this picture. After that, I watched him sort of fall into the bunch of people who sat on the tribune. A lot of thoughts crossed my mind and one was: what makes people having the urge to do these sort of things?